NET10 Wireless Standard SIM, 5 PinZoo Points, and FREE SHIPPING! 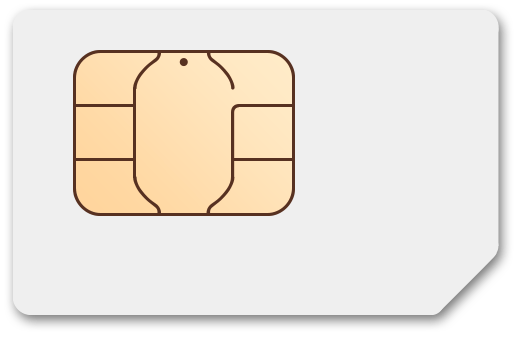 Free SIM card and free shipping! As a new customer, your 1st two months of service is at a super-low price. Choose from any of the plans below. If desired, you can extend your service beyond the second month - no contracts and no credit checks. Net10 Wireless SIM Kit: Includes a Free Nano SIM Card and 2 Months of $35/mo Plan for Only $45, 41 PinZoo Points, and FREE SHIPPING! 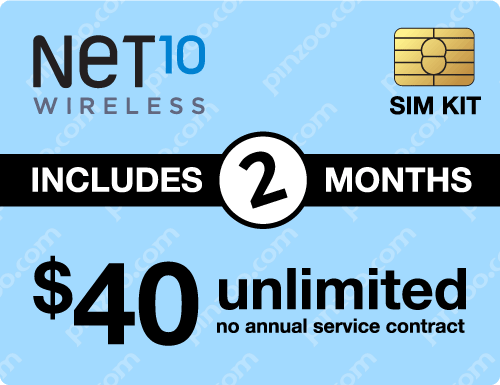 Net10 Wireless SIM Kit: Includes a Free Nano SIM Card and 2 Months of $40/mo Plan for Only $50, 45 PinZoo Points, and FREE SHIPPING! Net10 Wireless SIM Kit: Includes a Free Nano SIM Card and 2 Months of $50/mo Plan for Only $60, 55 PinZoo Points, and FREE SHIPPING! Net10 Wireless SIM Kit: Includes a Free Nano SIM Card and 2 Months of $60/mo Plan for Only $70, 65 PinZoo Points, and FREE SHIPPING!